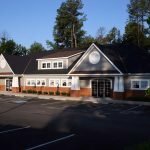 Castro Dental, a community-based dental practice in Chester, Virginia offers patients a comfortable, familiar, residential atmosphere in a building designed to be flexible to accommodate the growing practice. 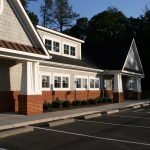 Built in 2004 the 6,000 square foot single story office has a Craftsman Style influence that meets the specifications of conformance for the Chester Village plan and makes it compatible with the adjacent police station. 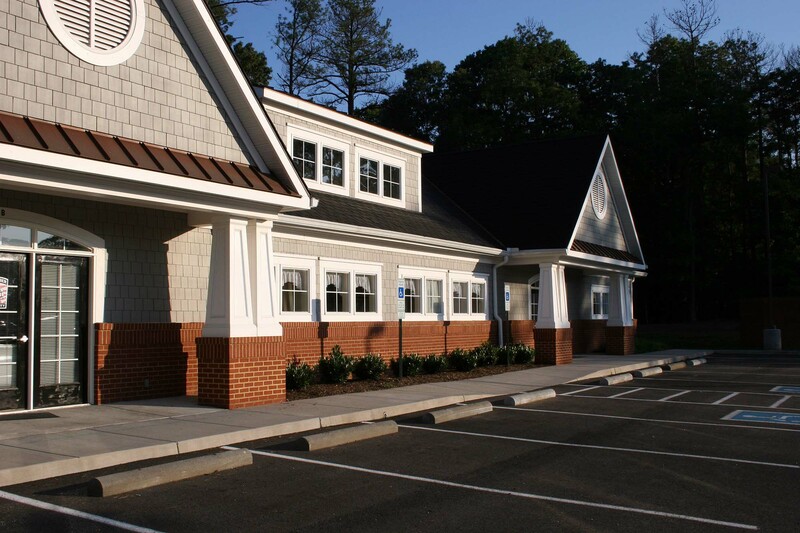 Framed construction features cedar shingle and brick siding with synthetic slate and copper standing seam metal roofing. White details, columns and window frames accent the building that also features porches and dormers, true to the Craftsman style. 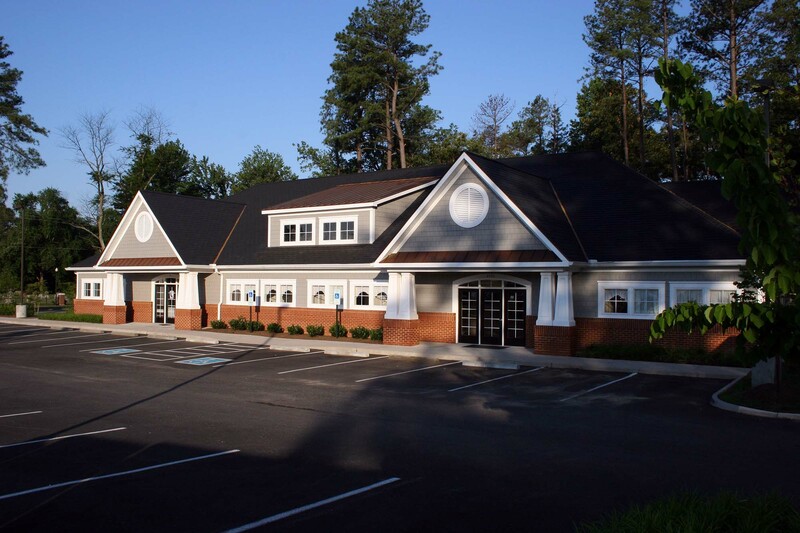 It was built by FasTrac General Contractors, Inc.